The Havanese is a small and sturdy dog with a playful, affectionate personality. These smart little dogs are overall good-natured and make great family dogs. They are highly trainable and can learn tricks and perform in agility and obedience competitions. This clever dog will also make up its own games and train you to play them with him. The Havanese may also be used as a visiting therapy dog, especially if the dog has been well-socialized to not be timid with strangers. The Havanese is an old breed that was developed in Cuba and is the only breed native to that country. Ancestors of the breed came to Cuba from Spain in the early 1500s by way of Tenerife, one of the Canary Islands. The breed is believed to share lineage with the Bichon. The Havanese was a beloved pet of Cuban aristocrats and later became popular among wealthy Europeans, including Queen Victoria and Charles Dickens. The Havanese has been in the U.S. since the Cuban revolution in 1959. Only 11 dogs were left to save the breed from extinction. The Havanese is now rare in Cuba but has thrived in the U.S. and Europe. It is the national dog of Cuba. The breed was recognized by the American Kennel Club (AKC) in 1996. Because of its coat type, routine grooming is an absolute necessity for the Havanese dog breed. Brush your Havanese often, at least once or twice per week (more often if the coat is kept long). If you don't have the time to do this, the Havanese may not be the dog for you. Many Havanese owners choose to keep a shorter coat, in which case haircuts may be necessary every few weeks. Their coat protects them from the sun and they tolerate hot weather well and cold weather moderately. Despite the coat, the Havanese does not shed much. Be aware that less shedding does not mean the dog is hypoallergenic. Like all dogs, the Havanese should receive proper training. These dogs are intelligent and attentive, therefore they tend to learn quickly. General training will contribute to your dog's overall happiness, as well as your own. As a moderately active little dog, the Havanese should get daily exercise. However, this breed should not need a lot of exercise. With the proper outlets for their energy, these dogs are content to cuddle on your lap or play indoors. In fact, they can be great for city and apartment living. If you want a small dog with a relatively easygoing demeanor, the Havanese might be right for you. This breed tends to do quite well with children and other dogs. The friendly and gentle temperament of the Havanese makes this breed suitable for many types of homes, including apartments. They also can be a great dog to have for travel and RV living as they are small and do not bark much. However, a Havanese will not do well if you must leave him alone for long periods. They crave companionship and are known to have separation anxiety. They may develop destructive habits due to being unhappy and bored. One drawback is that the Havanese can take longer to housebreak. You will need to be consistent during this period or provide a doggy door so the dog has access to the outside. Many of them don't like to get wet, so it's good to have a covered area available. On the other hand, if they grow up around water, they can be good swimmers. In general, the Havanese should be an indoors dog. Deafness: This is often a congenital condition in the Havanese. Patellar Luxation: This is a loose knee joint that can lead to lameness and knee arthritis. 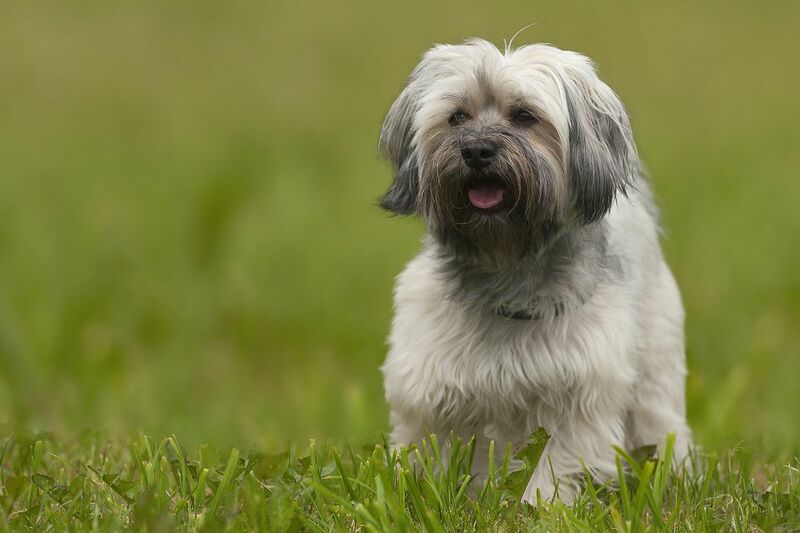 Hip Dysplasia: While this is often thought to be a condition for large dogs, the Havanese are also prone to hip dysplasia. This can cause pain and lameness. Elbow Dysplasia: Havanese are also prone to elbow dysplasia and may need surgery. Hypothyroidism: The Havanese have a high rate underactive thyroid glands and may it require treatment through the dog's life. Allergies: The Havanese can have skin allergies to fleas, grass, and pollen, causing the dog to scratch and chew himself. You should feed your Havanese two meals a day with a total of 1/2 to 1 cup of dry dog food. Don't leave out food for free-feeding or you may discover he has gained weight. Obesity can reduce a dog's lifespan and lead to other conditions. Discuss any weight gain with your veterinarian and what type of feeding schedule, food, and exercise is appropriate for your dog. Avoid giving people food to your Havanese. Be aware that they are tricksters and can train you to feed them some of your food if you aren't vigilant. Be consistent and ensure everyone in your family is as well. As with any breed, if you think the Havanese dog breed is right for you, be sure to do plenty of research before obtaining one. Talk to other Havanese dog owners, reputable Havanese dog breeders, and Havanese dog rescue groups to learn more. Otherwise, explore all of our other dog breed profiles.